Dior released thirteen new palettes, twelve of which made it to Germany. I am trying to get hold of Cuir Cannage since a few weeks. I was out of luck and my order got canceled, which is another story I shared in Instagram but today it is all about the palette. Now it is not only a parfum from La Collection Privée line but also a palette with coppery warm neutrals, it is Cuir Cannage. Compared to the other palettes I have reviewed so far, which are Trafalgar, Carre Bleu, Femme Fleur, and Bar, Cuir Cannage is one of my favorites of the bunch because of true to pan color pay-off and subdued shimmer. With new quints of Dior, it gets a little frosty across the board for my satin/matte loving heart. The shimmer in Cuir Cannage gives mostly satin finish without being too metallic/frosty and looks natural once applied. Top left: Deep plumy brown with satin finish. It is a gorgeous shade which can be worn on its own or in combination with other shades from the palette. Top right: A very light ivory with satin to shimmery finish. The lightest shade of the palette, which is very useful under the brow bone or as a corner highlighter as well as to lighten up any other deeper shades. Bottom right: A very deep cool blackened brown with satin finish. There are enough dark shades for definition but if you want to increase the drama even further, this is your shade. Bottom left: A mid-toned copper, this is the most metallic shade in the palette, the shimmer is there but not over the top. 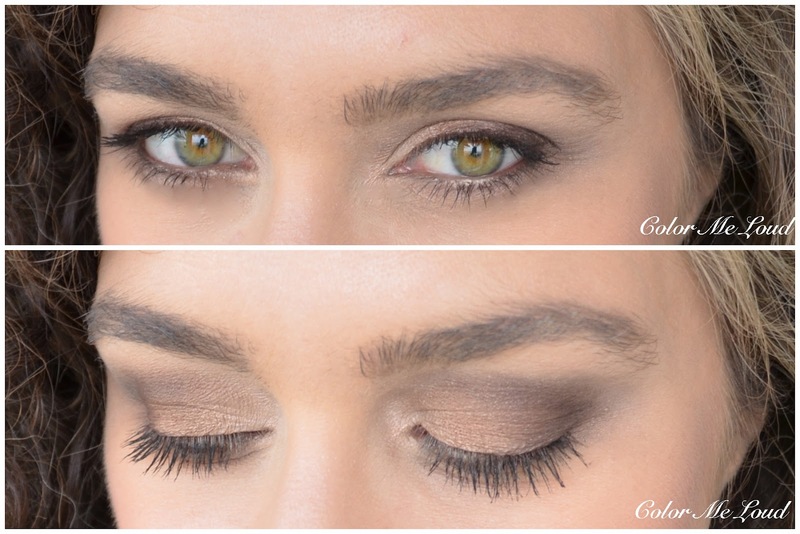 Center: A mid-toned matte to satin warm olive brown. It is a great shade to run around the crease before deepening it. Because of its matte/satin quality balances the palette perfectly. The palette in general pulls very warm so if you are not into warm neutrals, you might check other palettes from the line, such as Montaigne. Below I am wearing copper all over, enhanced with ivory on the corner until one third of the lid. I have the center matte shade on the crease which is deepened further by the darkest shade and plummy brown is padded on the outer third. 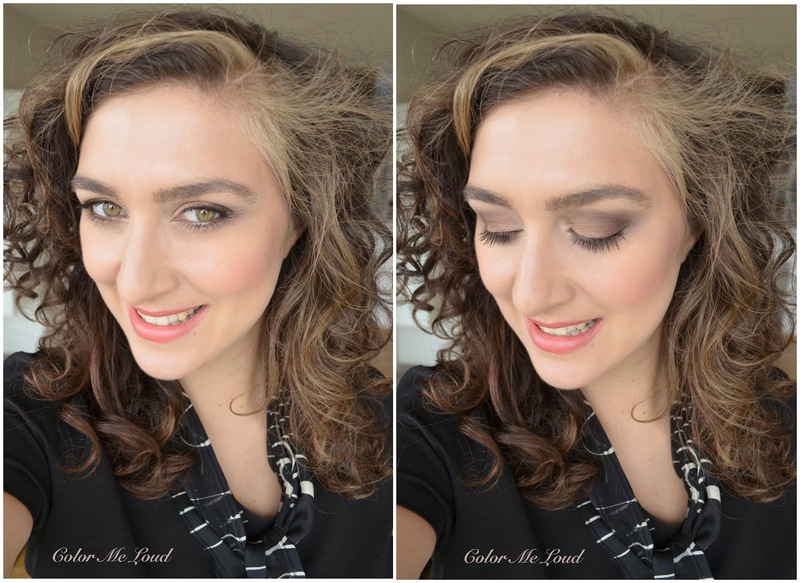 I am wearing Chanel Stylo Yeux Santal (above) and Or Rose (below) as well as Rouge Bunny Rouge's Witchery Mascara on my lashes. The wear time of Cuir Cannage was quiet impressive, didn't fade nor creased over 10-12 hours. Below you can see the resulting look, I am wearing My Lady Dior Blush Palette in Coral (reviewed here) on the cheeks and Chanel Rouge Allure #144 Conquise on the lips. I thought there warm colors would go well with a coral cheek and lip to brighten up the face. 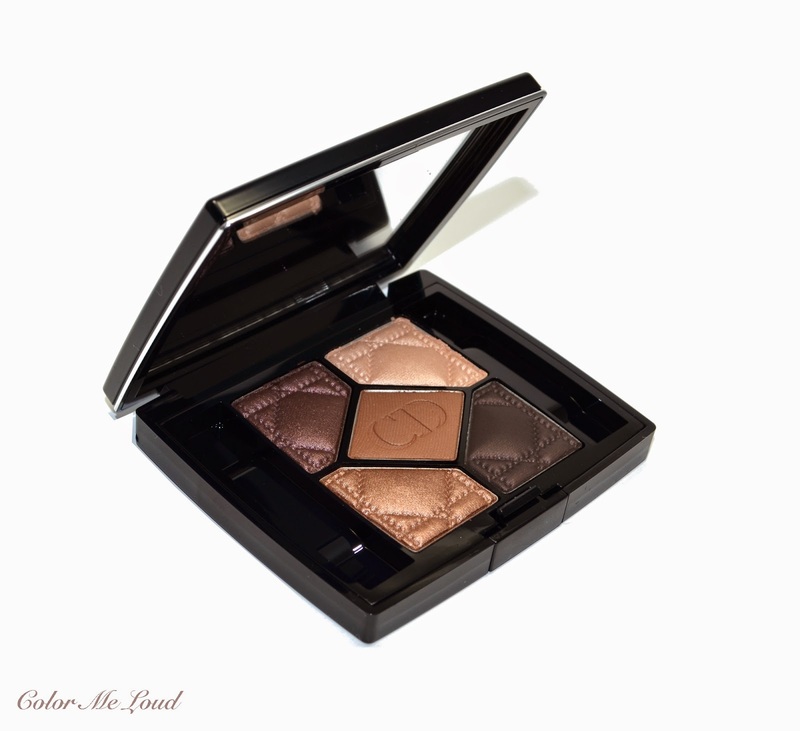 Final thoughts: Dior 5 Couleurs Cuir Cannage is the warm neutral palette of Dior's new line with subtle shimmer to give a lovely polished look. I can see this one flattering warmer complexions more but anyone can wear it. 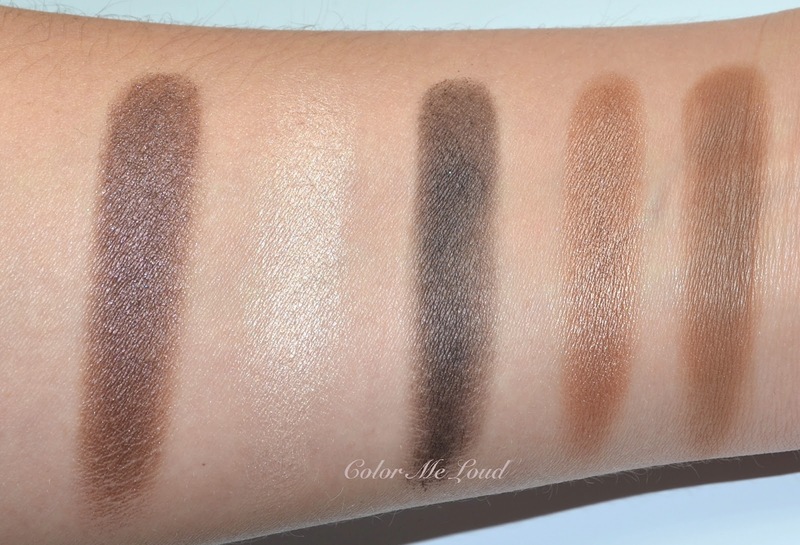 The shades are very pigmented and deep enough for deeper complexions as well. Cuir Cannage is permanent. Did you find time to check Dior Quints? Which one is your favorite? Beautiful, wearable palette. So glad this one lived up to expectations! hi sara! i'm almost certain that this palette is not available in "my territory". but, i'm definitely going to search for this one. i just love how you review the product and then include a FOTD with complete descriptions. this is just one of the reasons why i think your beauty blog is the best and my favorite of any that i have read!! happy weekend to you! xoxo. I'm really excited that it's permanent! I've yet to pull the trigger on buying a Dior quint. This could be the one. If you like warm naturals, this one is the way to go! great to hear that this one is made for you, hope you get your hands on one soon! dear sara.....according to a wonderful dior makeup artist from my city, this will be available in october. i'm curious if this is going to be part of their holiday collection?! as much as i love dior, it drives me "bananas" that the u.s. seems to get only "parts" of a collection. i noticed that their new star foundation is listed on dior's website. will you be reviewing this? xoxo. In October?? No way! I swear there are people getting it. Please write to Dior US and they should be able to assist you. I won't review Star foundation because I have rather dry to normal skin and it is not very suitable for me. But I will review their concealer, which I am using for the last month and loving. Hi Susan, yes you are right the middle shade is a little powdery but during application I didn't have any issues. I think you might like Trafalgar from this range more, are you getting it? Smashing? LOL again! Deep Plum is my favorite in this palette too! Gorgeous palette! I really like the plummy brown color as well. Also, Conquise lipstick looks really lovely on you, Sara! oh, my, in the pan and in the model :-* it looks beautiful! You have small and deep set eyes? I haven't noticed! All I see is beautiful glowing eyes which go good with almost everything. yes it does, all the new Dior Palettes come with a booklet. I haven't seen this one at any US sites or retailers yet...boo! It's a shame because this one is beautiful! I have been stalking every store and every site, it is nowhere in the sites as of yet. I so need this pallet in my life! I am sure they should be there soon. Just a regional delay I suppose. I see Macys has them online now. Wow, really beautiful! I've been curious about the new formula for a looong time but couldn't find any palette that suited my taste. This might be the one. 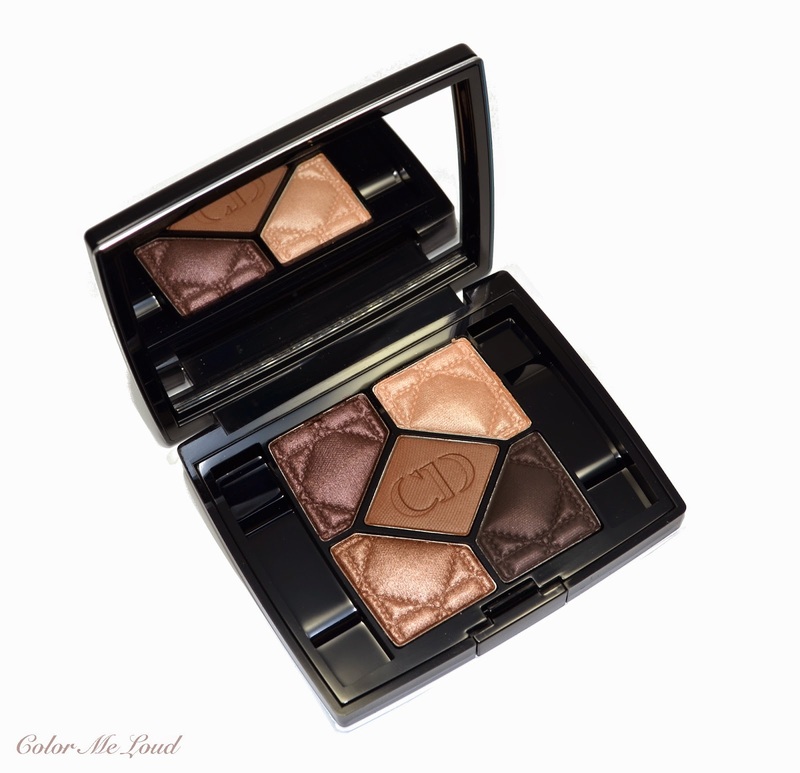 I love Dior 5-color eyeshadows, especially those that emphasize on satin finish. Thanks for the lovely review! 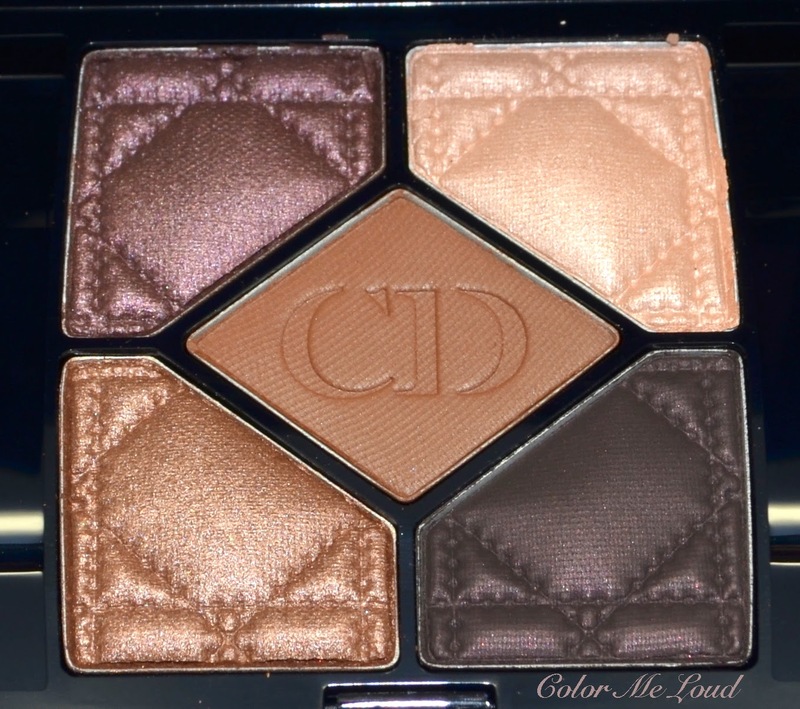 Dior's new palettes are hit or miss but I consider this one as hit. Unfortunately I found out (in a very expensive way) that more are miss than hits but I guess if you want to try one out, this would be it. Hi! I wonder if you could help me with my little dilemma. I´m considerin of buying cuir cannage but now I´m torn between it and Clarins the essentials palette. Does the Clarins palette have dupes fo cuir cannage? Whitch one should i get. And I have all the naked palettes. I haven't tried Clarins' palette of this year, so I can't really comment on that. I would probably go with Cuir Cannage in this case ;-) I like the eye shadow formula of some other brands more though, Tom Ford, Burberry and Chanel's new quads. I actually ment the 2013 Clarins palette, which you have reviewed. Is that one still available? I thought it was LE. I would say, If you like Drama, maybe Dior. If you search for everyday palette Clarins.